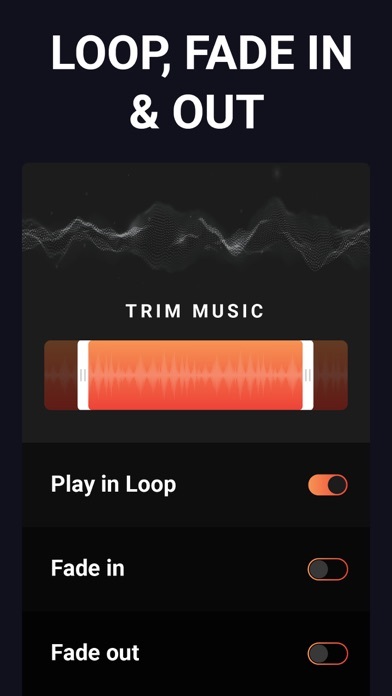 I cant add music unless I do a trial... AND I HAVE TO PAY!! !I thought this app was for music videos, but, ITS NOT! UMLESS YOU WANT TO PAY !!!!! This is a awesome app!!!!! I love it!! It let’s you choose and record music!! It’s truly the best!!!! It said it was free in the App Store, but then once you got on the app you would have to pay a yearly subscription of $49.99 after three days. Don’t get me wrong it was a very nice app with lots of cool music, but I just don’t want to have to pay that much money. Randomly charged me $53+ some odd dollars. I never gave this app permission nor was it downloaded on my iPhone. I actually have no clue what this app is, so 1 star for me on behalf of charging me inappropriately ha ha. Luckily iTunes gave me a refund. Itunes Music Disfunction , 1 Video Per Edit ? Bought the app recently, made me purchase a song I already have in my itunes library . I Subbed 2.99 for a week trial so that it could only let me upload 1 video per edit . Was looking to gather all the videos up in one clip but it wasn’t giving me an option to . Was disappointed from the results i paid for .. good effort though . Recently it crashes. I used to enjoy working with it but not anymore. This was my go to for so long. Then they updated it and removed all the good tunes and replaced it with a mass load of super long, really dull songs. So many sound the same, and none of them are good. I wish it wasn’t changed. I am canceling my subscription and finding a new app. I love everything about this app. I’m using it all the time for my business, very easy to use!!! Can u please make ALL Of The Music 🎵 Free Please?? In my estimation, it is the finest and most workable scrolling app available. I freeze the developers for their hard effort in producing an A+ product. It is the best app around. I still have to use a couple other apps as well to get what I really wanted... but pretty good selection of royalty free music without buying premium. Idiotic watermark present unless one pays for a weekly, monthly, or yearly subscription. Never gonna happen. Definitely recommend purchasing songs and laying them over! 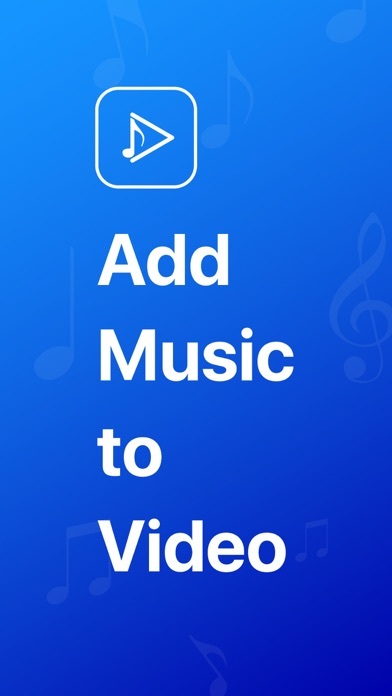 I loved it and if you are looking for putting music in a video get this app !!! This app was my go to app and I even paid into the subscription. However very recently they switched all of the tracks to weird music and none of the genres even make sense anymore. Unless they change it back to more general royalty free music, I think unfortunately I will have to move on. All of the songs are electronic-style now and it has diminished the usefulness of having access to their music library. I’m so bummed!! 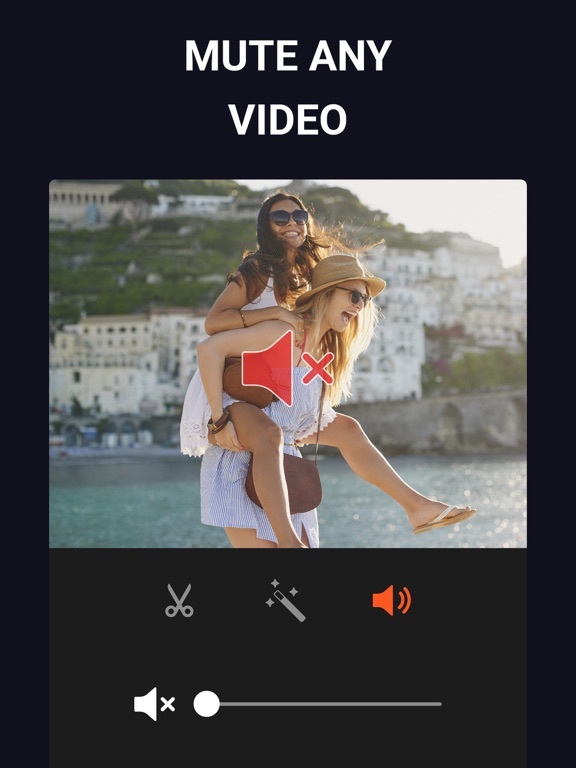 A few days ago the app updated and now the music selection makes no sense for adding backgrounds music to videos. Thoroughly disappointed. This has worked for me a couple times. A couple times out of a hundred. The app completely crashes on you 9 times out of 10. If you’re patient enough to edit your video 10 times in the hopes it will work eventually, then you might just end up with a solid, music-filled video (; (if you record your own). It says to unsubscribe in settings but there is no option??? It didn’t even let me add any music??? Can anyone help???? The point is so I can put music over my videos?? But it won’t even work. Easy with this app. Somehow some way they said I subscribed and I never did.. app is no good especially if they stealing from us. Don’t get this app!!!! Why would anyone pay $9.99 for this? 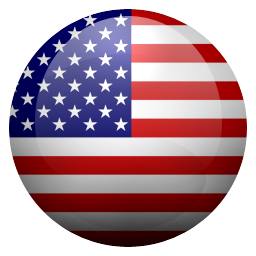 Use the free version and use watermark remover to remove the watermark. Many other apps don’t work but this one did. Finally. I am having the same issue as xoelena11 Which seems to be a common one. 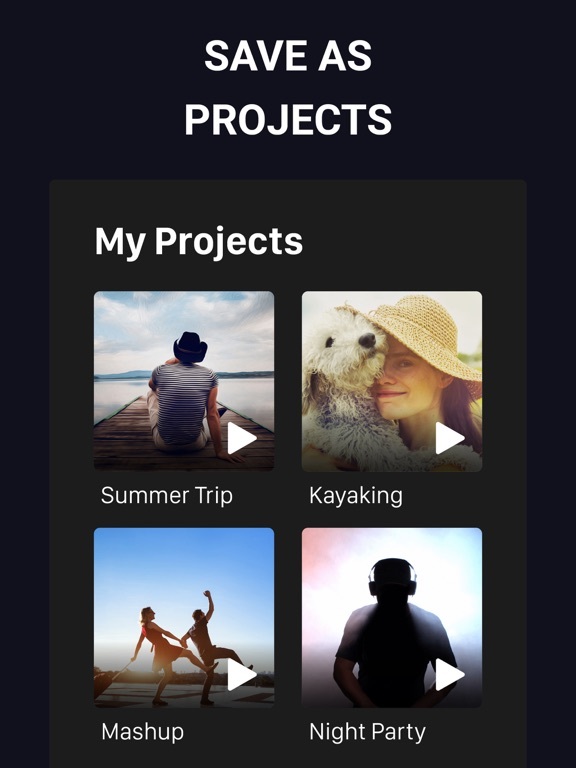 I initially downloaded the app on August 28, 2018For a free three day trial But deleted it within the same day because the app was crashing And I was unable to edit my videos the way I wanted to. However I just realize that just two days after on (August 30) I was billed 49.99 Literally on the second day because it somehow created a subscription for me on my iTunes account And me deleting that app apparently doesn’t cancel the subscription Even though I only used it for like two minutes before I did not like how it was lagging and not letting me do what it was supposed to. I have emailed the server about my issue and i am waiting for them to reply with my 49.99 refund hopefully do to the misguidence and misunderstanding . 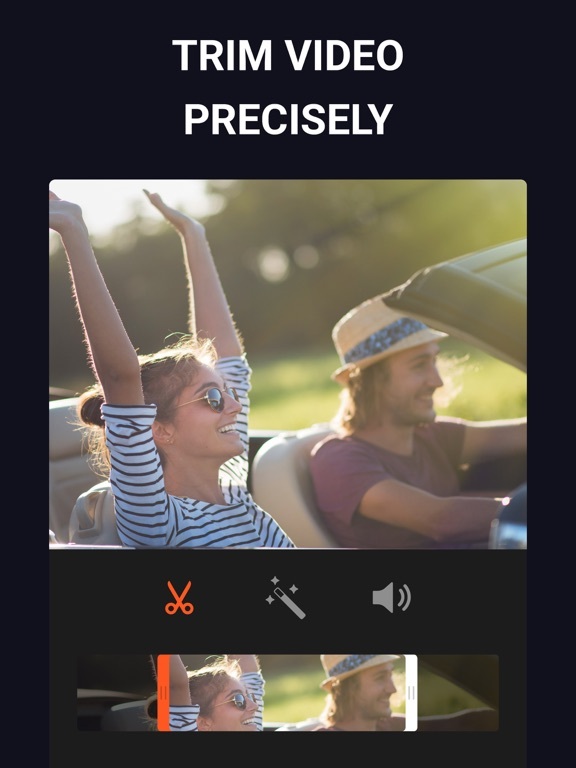 It's incredibly user friendly, and although every time you open it, it prompts you to upgrade to premium, it doesn't hinder you when it comes to making your videos! 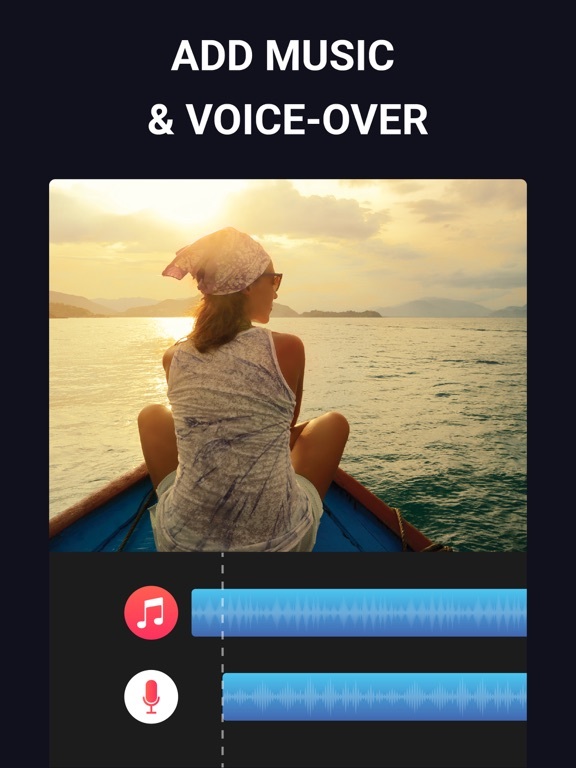 You just have to watch an add to use the majority of its music library, and it allows you to control the volume of your music, record your voice, and edit the length of both the video and your voice recording! It doesn't even make you wait that long to save, and it keeps track of all your projects! It’s great to use! It’s quick and handy... but the cost makes it a hard decision... great app though! This is awesome!!! I have 4 other apps installed right now. This one is by far the best!!!!!!! HORRIBLE I deleted this app the SAME week I downloaded it and it was STILL charging me to THIS DAY and didn’t let n cancel could not find a way at alllll !!!!!!! So I’m a small YouTuber and to edit my videos I use iMovie. And iMovie only has that dumb background music everybody has and I want to use my music! I found this app and it lets u use ur music and its AWESOME!! I really don’t know why everybody hates it!! Make all the music free! Even though I paid for my music on apple this app still doesn’t allow you to add personalized list unless you purchase the song from apple through this app. Garbage! After opening the app, I saw ‘Free 3 days trial’ then I clicked it, but it charge me $9.99 for a month right away even I have not tried it yet. I need my money back! WHERE ARE ALL OF MY VIDEOS????? 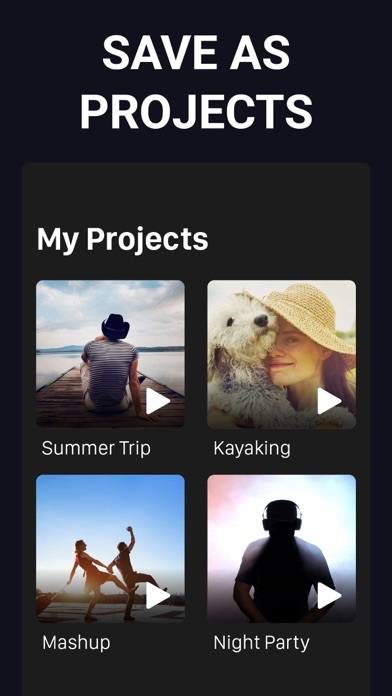 I am trying to create something with this app, however it is only showing a few videos from my camera/video roll (and of course it’s not the videos that I actually need). What’s up with that? Please help and I will update this review to reflect. Thanks! 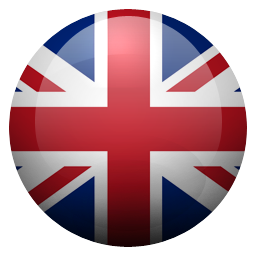 Very quick and easy to use I love this app! If you just started making videos this is a great way to edit. 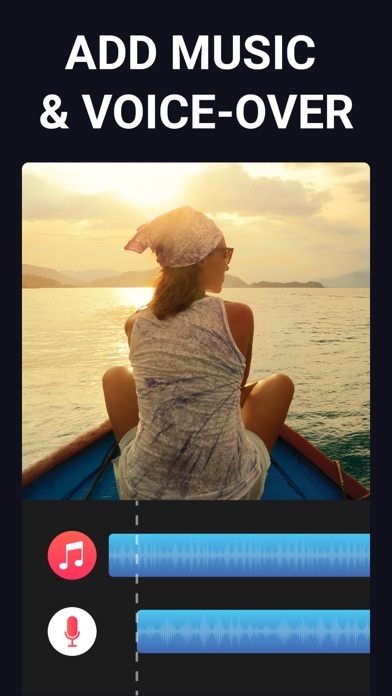 I love the app but I can be dealing with possible disputes from singes used in this app. Copyrighted content was found in your video. The claimant is allowing their content to be used in your YouTube video. However, ads might appear on it. VIEWING RESTRICTIONS None MONETIZATION MONETIZED BY CLAIMANT CONTENT	CLAIMANT	POLICY	Hazy Memories-8466 - Alexander John Ericson Sound recording 0:05 - 2:23 play match AdRev for Rights Holder Monetized by copyright owner Remove song File a dispute If you agree with these conditions, you don't have to do anything. So I was using this app for my brothers funny video he wanted to send to my mother while she was taking a business trip in NY.. and I tried to add music. One.. it was lagging.. Two.. I added music and it took five seconds to play.. and three.. it took me off the app.. I took a look at my vid to make sure it was good.. and it had NO sound. It took me off again and wouldn’t let me back on! It’s a waste of storage! Un downloaded! Matter in fact.. DELETED!!!! The watermark on the video is atrocious. Your app is drunk. Fix it. I love this app, don’t get me wrong. But it was a whole lot better before the subscription, back when you only payed 5 bucks once instead of once a month. Please add that possibility back, Add Music. Great but only Free Version! 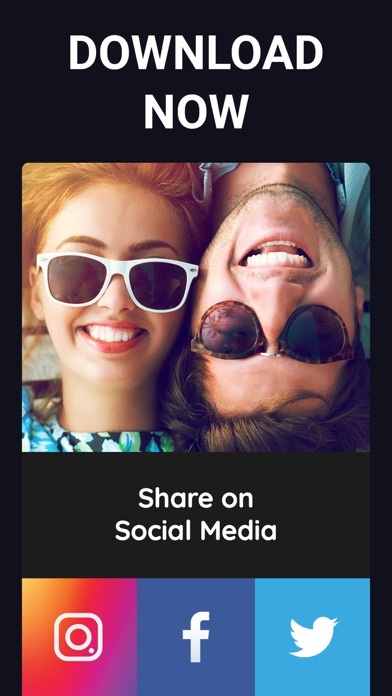 The ONLY reason this gets Any Stars At All is the Selection of FREE music is Pretty good, Adding Different Tracks is A cool option, IF u have patience For A 20 second Ad! It Works pretty Well For What it’s Designed for, It Would B Wonderful to Use 1000 Different Songs, But The “Free” 3 day trial isn’t Quite Free I’ve Heard! And 9.99$ Is A little High For even A One time Buy, But A MONTH?😱 I’m Not Paying 120$ A year even with The huge Selection of songs And extra options! This is a BAD buy, WAY TOO OVERPRICED! And I don’t want A Reply from The Developer, They should B glad they’re getting Any Stars AT ALL! If The Price Was 1 time only, I Would Definitely Upgrade AND Give 5 Stars Review, But it’s Not, So Until it is, I will NOT upgrade! I only Hope I don’t Accidentally Press The Button For free 3 Day Trial! Couldn’t find an app that would do what i’m looking for until i found this!!!!! I was hoping to be able to find a FREE music app to put in the background of my speedpaint videos, but all the music costs money! Doesn’t that just defeat the purpose? I wasn’t very happy, sorry. THIS APP ISN'T FREE. This is just a three day trial. I love this app so much it really helps with me editing and stuff like that but really just don’t like that you have to pay every month. Honestly l understand your trying to make money but if you want money make the app cost money. In my OPINION I think it’s so much easier than paying 10 bucks a month but l really do love this app it really helps with my videos and edits for other stuff great job and keep up with the great work 👍🏼 but also please do consider and if you don’t agree l understand. Buyers be aware. Initially I bough this app a few months ago with a lifetime purchase offered by the developers. Then a few weeks ago I see that the app was having issues loading the music and putting ads. I wrote a review and the developer responded that That the issue was fixed and that I should not have any problems. The apps worked fine for one day. Next day I started to see more ads and when I tried to close them it asks me to subscribe to the new membership format. What is my point? The app is fantastic and I like it, but there is one problem. 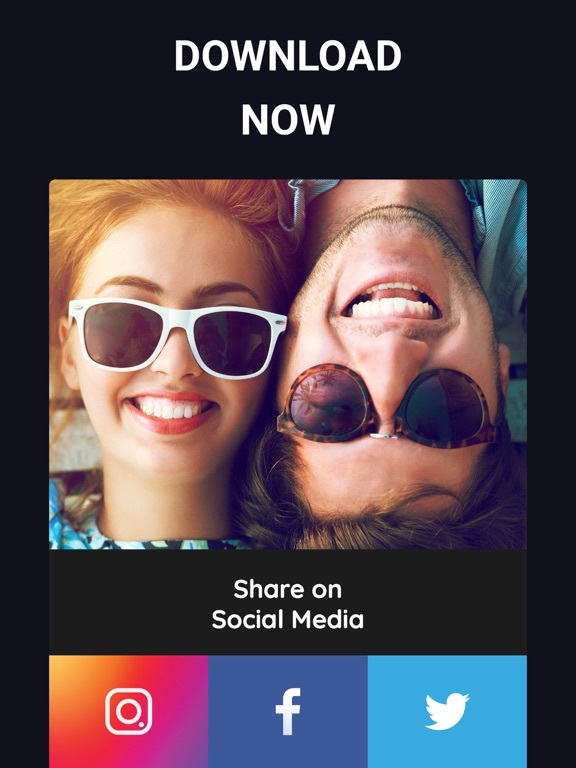 I bought this application prior to having subscription a few months ago and paid for the one time lifetime access and these developers charged for that and transitioned to the new format without even explaining or honoring the people who bough the lifetime access. I took some screen shots on my phone to show. The point in discussion here is not the greatness of the app but the lack of honor of the developers to abide on their promises. It is a dishonorable practice. BEWARE! I hate this app, I can’t go a minute without it crashing or lagging extremely badly!! And then if it stops crashing for a bit, it will crash when your trying to save your video, and it’s pretty rare that you even have time to edit a video before it crashes! Please don’t get this app, you would just get disappointed, I thought it would be a great app based on its reviews, but it’s not. I was very disappointed. If you fix this problem, I will consider redownloading. 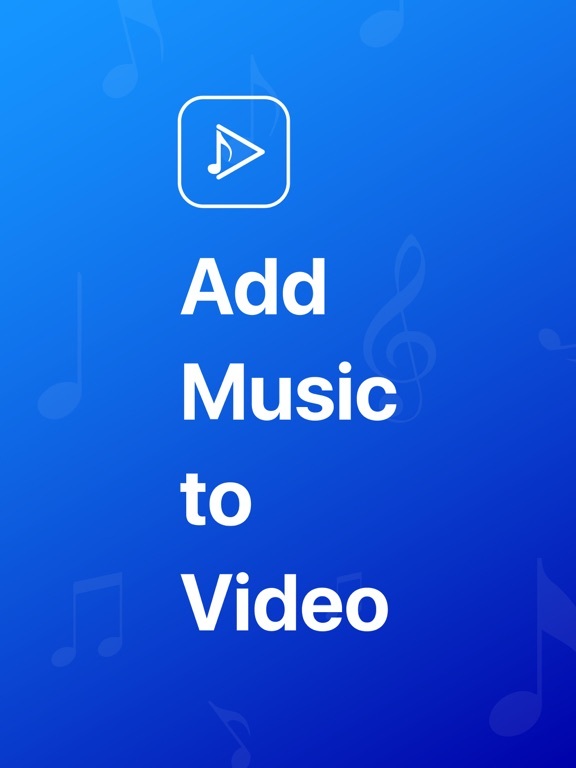 Also it seems that you have to pay for most of the songs, even though the whole point of this app is to add music to videos!! Sorry if I’m being negative, I usually only write positive reviews, but this was just too infuriating to not say anything about. Thank you for listening/reading. The songs that I add to my videos have no sound. When I play the finished product, it has no sound at all. Yes, I have turned up my volume but nothing has happened. I figured that it was the app itself and that it did add the audio. I tried to save the video, but it said it was unable to and to try again. I did this multiple times with different songs. (I only used songs from my phone.) I am not sure if this is only for IOS 11, but please update this app and work hard to improve it. This would have been very helpful for me because I am planning to make a special video for someone’s birthday which is in three days. I have failed to find any apps that have worked. Maybe I am incorrect, but this has not worked for me. When it works it’s great… When it works. 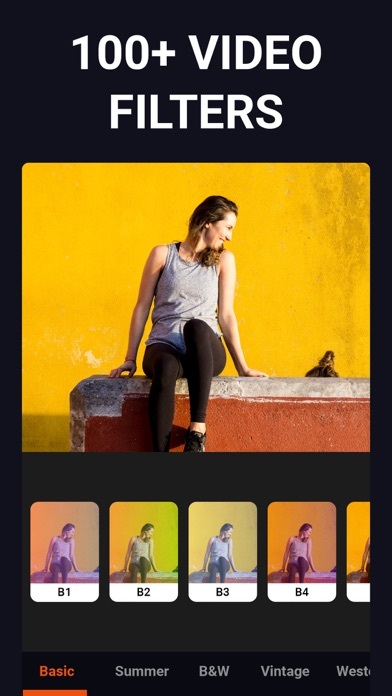 I purchased this app to add music to a video I created. I wanted to use apple musics. The music vender pay a subscription to so that I can have my music available. Well. If you are subscribed then you iPhone does not download the music. So if you don’t pay the bill they can cancel your music. 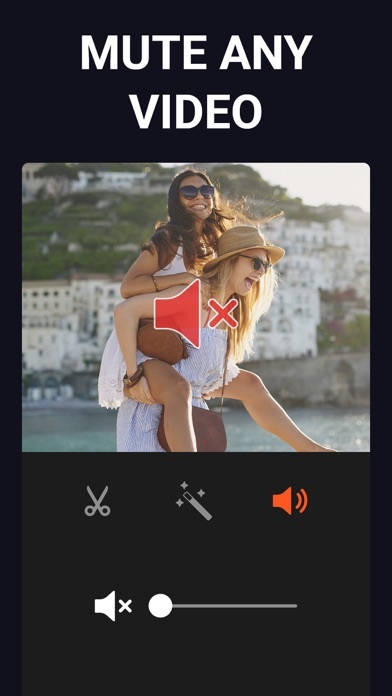 This also makes it impossible for you to add your music to the video. Now my issue is that I want to cancel my subscription, I keep looking for account settings to do so, yet account settings is no were to be found. I sent them an email. I am hopefully going to get a response soon. If not. I’ll have to move on to other sources of social media until they reply. Either my phone is just being dumb because internet and signal have not been loading things, but none of the songs but the default ones load. The images for the categories are stuck with a white loading screen, and I can’t play or use any of the songs. Hope this is fixed soon, I love this app! Also, are all the songs royalty free? 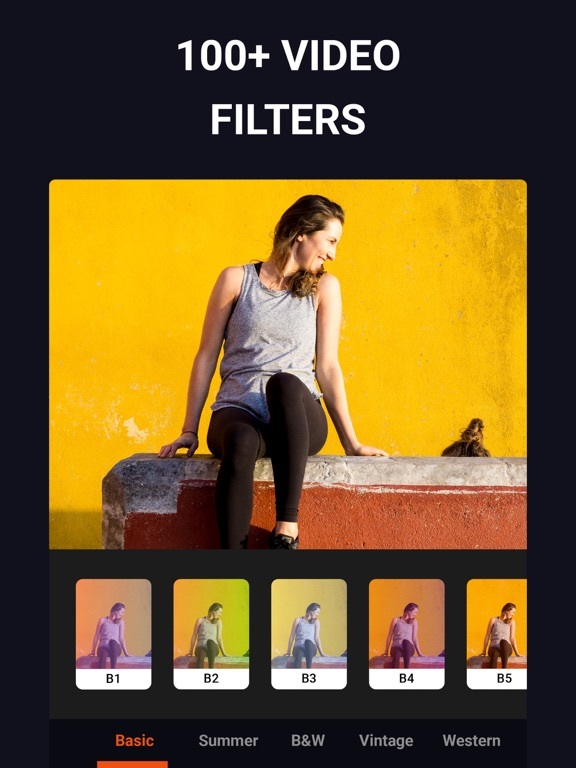 This app is cool but..
A first I was like yes this is what I was looking for, until I realize I couldn’t edit my video how I like. 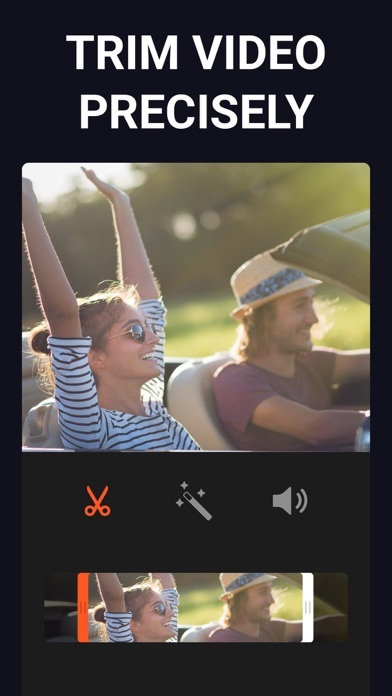 Meaning starting off with a song and pausing it in between to have the actual video play with the conversation; then cutting it out and finishing off with the song. And for that I gave it a 2 star rating I don’t see myself paying 9.99 monthly for an app I can’t do what I really want sorry. I edited a 9 second video and then added music to it, but apparently I don’t have enough storage for the edited video. So I looked to see how much I had left. I currently have 118 GB left and it is still saying I do not have enough. Besides that this app is pretty cool I hope I will be able to use more often if this gets fixed. This app honestly works great i see no flaws in it. I needed this app to put music behind ONE video so i downloaded it and used it and planned on just paying for 1 month which was said to be $7.99. Then they charged me $99!! I would really like to get this charge removed seeing as i am not going to be using this app any longer i only needed it for 1 video. Sent an email to the company and am waiting for a response. Have no complaints other than if they don’t refund me for the confusing subscription. I downloaded this app recently and paid for the premium subscription, for the full year. A few days later, the app must have gotten a bug, so the songs that you paid for are not available. I deleted the app and reinstalled it, and all of a sudden my premium songs that I paid for has reset. I tried paying for the monthly subscription to see if it’ll magically fix the problem, but now I’ve paid for 2 subscription that doesn’t even work. This app is very annoying. When I first got it, it was fine. I did not know you had to choose from their music, your own from Itunes/Music, or record. I thought you could just add another audio to it. Well, you can not do that. After I “finished” my edit, I was exporting it and it did not save any of the music I put into it. So, I tried again and it did not work again. It crashed while I tried to do it. So I WOULD NOTTT recommend this app. Please do me a favor! I wanted to choose my own music but it wont let me! Please tell me how to do it! And please add k pop! These are some musics i wanted to add ( note: im only 16 ) Attention, Copycat, Trust fund baby, and more k pop! Please do me the favor! This brang it down to a 4 star if you do the favor maybe i can change it to a 5 star! Anyways sorry if this is offensive! Have a fantastic day! Since I am an old guy who is technologically challenged I thought that recording music over a video would be too complicated for me. My first attempt worked out perfectly and I’m looking forward to improving my skills. Be careful if you have fast fingers. This app is free but only for 3 days. I somehow pressed button to accept and immediately it created a subscription for me on my iTunes account. Today is August 2nd and when I went to my iTunes to cancel seconds after I realized my mistake I was already charged and advised cancellation would go into effect August 28th. Hmmm so 3 days are NOT FREE. False advertisement! It should add three days to the month paid or fee should start 3 days after trial period. This app is great, I am not great at editing my videos. Tried different sites before that just we’re not easy to follow! 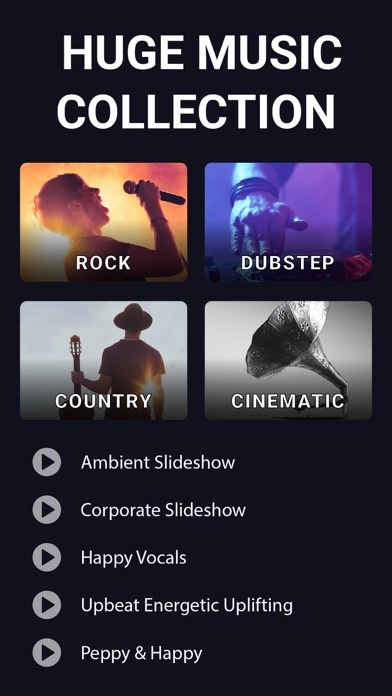 With this one , it tells you how to save your videos & get a variety of music choices! For some reason, after the update happened, I cannot download songs from the Apple Music app and use them for background music - it says I have to save it on my device and not from my iCloud. But is already saved in my device (I checked). So now I can only use old songs stored in my music app before the update happened. Please fix. Give me my money back !!!! The app worked well, except I have an iPhone so the screen is small and editing was a hassle. So I clicked the refund me button SEVERAL times and it didn’t refund. I then re downloaded the app and tried to refund again because it kept charging me. I still haven’t got my money back and they still won’t stop giving me my bill. 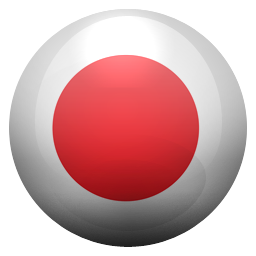 I have fun adding music to my video: I like how I can record my talking for the video then add the music after the recording. I just wish more sounds tracks. 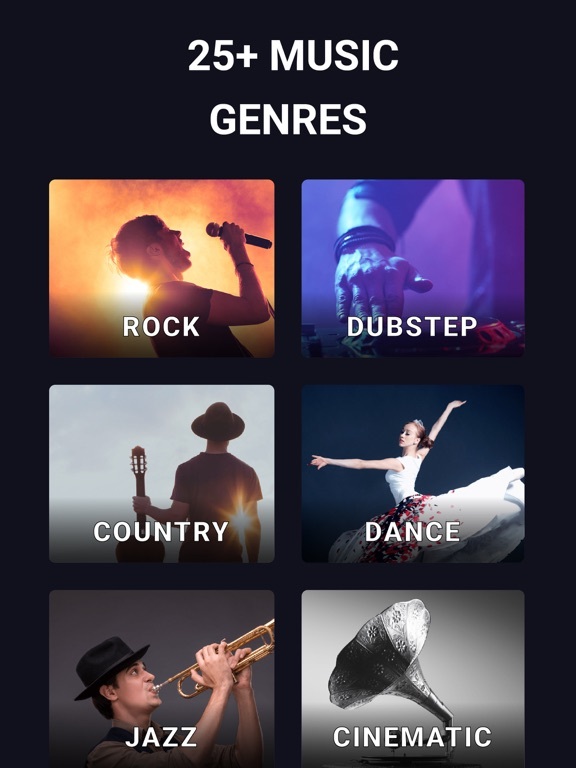 You can add your music: I have not figure that out how yet. Awesome easy to use and user friendly!!!! Will use this app over and over. 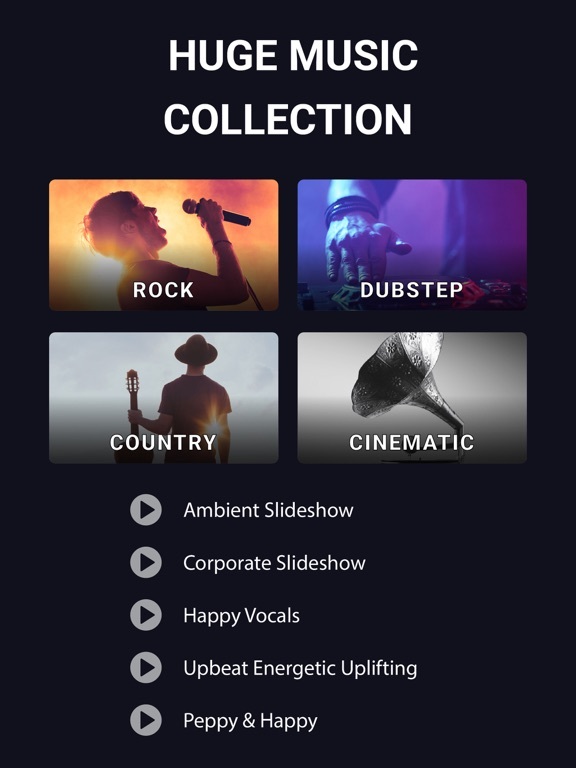 Let’s you use lots of songs and easy to edit and make completions like a pro. Can’t say how glad I used this one!!! I just wrote a long review on my dislike on $4.99 weekly, Crazy, for more music picks. But I’m enjoying the five only songs from each category that is free. So that’s good but might be a shocker when people want more and have a coronary seeing the price. But you will enjoy the free for awhile, the free songs are decent. Might as well be 1,000,000$!!!! You can record your own music onto a video but within a 3 second frame then it immediately starts recording. And there is no editing your video. When you share it to a social media website it has this obnoxious watermark and distracts from the video. You can't remove it unless you pay. Don't waste your time. The editing process is great. Really easy to work with. Minus the fact that the app struggles to save the final product. Made a video edit that was 50 seconds long and after 40 minutes of waiting with full service and wifi connection the video was unable to save so I wasn't even able to do anything with my edit. Save your time. Don't get this app. Still. I love this app. I was struggling to find music to add to my videos so I was very happy to find add music. I upgraded to pro right away and have access to great tracks and no ads. Great purchase and very affordable for the quality and features. Why does the music cost money? I wanted to do a meme, so I did a video and I exported it. I looked through the App Store, then I saw this. It had good ratings so I thought I’d try it. Well I did the video and I searched the music. Guess what. It costs money! I don’t have money in my bank account to spend. I also do not want to spend money on the music. Please make the music free. I do not want to pay for just one single music. This app is amazing. The only thing that would make it better is if you added actual music from actual artists. I don’t think that you should only have one audio for your music or video thing. And that you have to pay money just to be able to use some things on here. 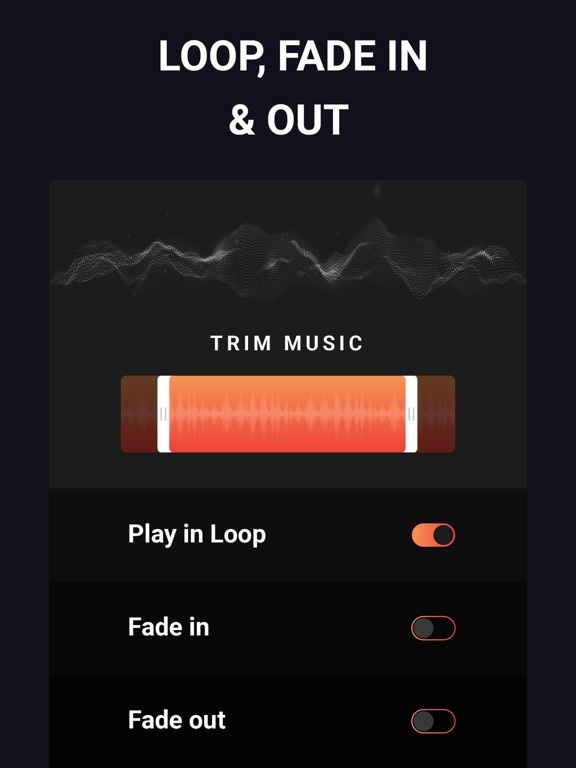 Great app until you use your music. I’ve paid for every song on my iPhone and they are all physically on my iPhone yet I still get a message to either purchase the music or download it from iCloud. If it wasn’t for that I would have purchase this app oh well on to the next one.